Valentine's Day will be here before you know it, and there's one gift everybody needs: flowers. 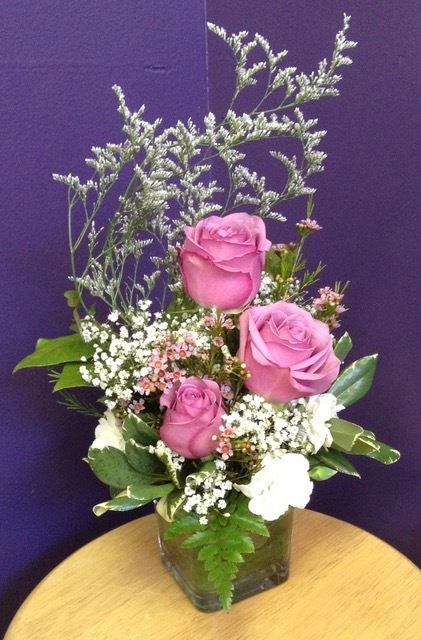 If you're planning ahead, you might go online to set up flower delivery for February 14 in your sweetheart's town. But this isn't as simple as it seems-- below, we've laid out a few things you need to know before you order flowers online for Valentine's Day. Some websites that you buy flowers from online seem to be florists, but in fact are order gatherers-- meaning, they do not make arrangements themselves. As the middleman, they make a profit on your order by outsourcing it to a local florist in the delivery area who will be given a fraction of your original payment to make and deliver the arrangement. Here's an example-- say you purchase a bouquet that costs $100. The order gatherer then calls a florist in the delivery area, offering them around $50 to make and deliver an arrangement that you expect to have a $100 value. Since the florist can only work within the budget they are given, the bouquet will almost certainly be smaller than expected, leaving the customer with a disappointing arrangement, the local florist with a bad reputation, and the order gatherer with a significant percentage of what you paid originally. What's the worst thing that can happen if I buy from an order gatherer? Say the bouquet you ordered includes stargazer lilies and pink roses. If you buy through an order gatherer, they have no way of knowing what a local florist's inventory might be-- the florist might have only red roses or no lilies and would be unable to complete the order as you saw it online. Unfortunately, rather than cancelling the order, order gatherers often encourage florists to make the arrangement anyways with whatever they have in their shop. This means you run the risk of receiving a bouquet that is completely different than the photo you saw online. How can I tell which sites are order gatherers? Usually, you can determine local florists by doing just a bit of extra research. Local florists will almost always have a brick & mortar store or a licensed home business in the delivery area, while order gatherers will not, so look for an address in your area. Further, if you look at a florist's Yelp or Facebook reviews, customers will often call out a florist by name. That way, you can know that you will be working directly with a florist rather than a middleman who will take much of your money for profit. Buy local! Your local florist knows what they have in the shop and will be transparent about their inventory. Go directly to a local florist's website and shop the images there or head into the shop and speak to the florist directly. Your Valentine will thank you for an arrangement that isn't made up of leftover flowers. Happy flower buying, and be sure to check out your local florist before the most romantic day of the year!